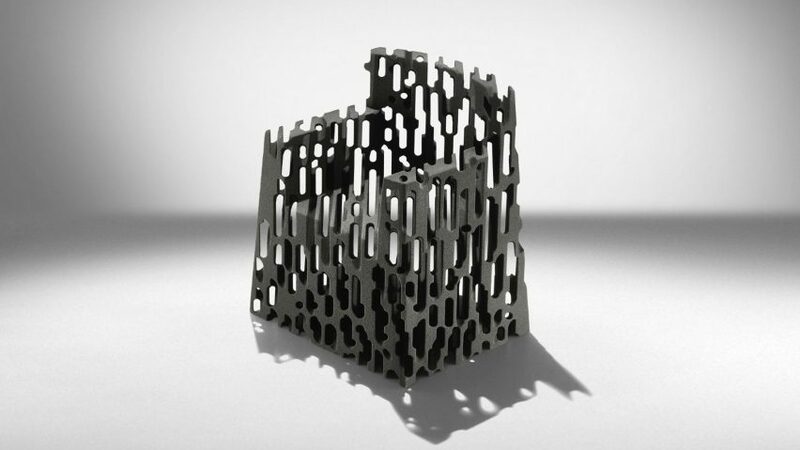 Italian furniture brand Driade has worked with Studio Nucleo to transform some of its most iconic pieces into 3D-printed versions fit for future life on the moon. In the lead up to the 50-year-anniversary of the Apollo 11 moon landing, Driade has collaborated with Italian writer Gianluigi Ricuperati – asking him what will outdoor design look like on the moon? He tasked Studio Nucleo – a group of artists and designers from Turin led by Piergiorio Robino – with reinterpreting four of Driade's bestselling designs by Philippe Starck, Naoto Fukasawa and Italian artist and furniture designer Enzo Mari. Using 3D printing methods, they recreated each piece using a soft sand similar to regolith – the layer of dust, soil and broken rock that covers the moon's rocky surface. "I asked Piergiorgio of Studio Nucleo to think about the incredible heritage of Driade," said Ricuperati. "We agreed that outdoor furniture for the moon or Mars was something capable of producing wonder while keeping a relationship with the past, so they created these astonishing homage artworks." The pieces will all be on show during this year's Milan design week, in an installation designed by Ricuperati, together with design agency Institute for Production of Wonder, and designers Studio Nucleo, Barbara De Micheli and Maurizio Cilli. The installation is described by Driade as "a visionary project which looks to the future to celebrate the history of the Driade brand and offers an interpretation of what home spaces may look like in 2068 in an alien context." The multi-sensory Moon Mission installation will be located at the city's Cinema Arti, which will feature a moon-inspired set created by artist and architect Maurizio Cilli. Based on studies conducted by the European Space Agency, the set will also include sound, film and live drama components. "I wanted to generate a tridimensional novel set up on a distant planet, but with one of the best things produced on earth: domestic bliss," Ricuperati told Dezeen. "Driade is a maverick of domestic bliss and luxury." 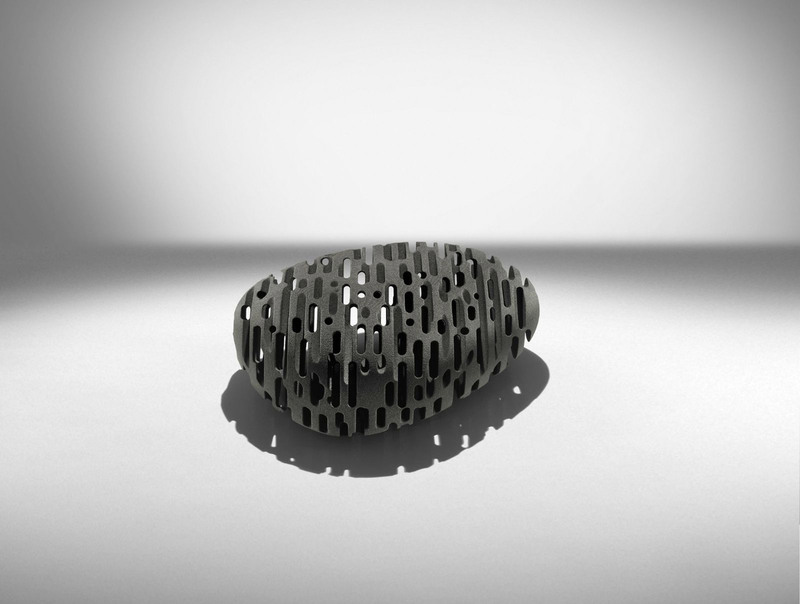 Placed within the set, is a 3D-printed lunar capsule designed by Maurizio Cilli and Barbara De Micheli. "After a series of conversations with me, they [Cilli and De Micheli] developed a lunar dome slightly reminiscent of Soviet LEM," Ricuperati told Dezeen. The location installation will also serve as the set for a short film directed by Adriano Valerio and written by Ricuperati. Called Moonage Daydream, the film will be shot during the design week and will consist of a sort of interplay between two space voyage heroines played by model Giannina Oteto and actor Elena Radonicich, who recently starred in the Italian film Il Principe Libero. Wearing space suit costumes designed by Veronica Toppino, the two "terrestrial Venuses" will dance and move throughout the set interacting with the capsule and furniture. To complete the experience, a cosmic-themed electronic soundtrack will be played out over an "interstellar sound machine" designed by Yar Audio. Visitors can experience the soundtrack, which will consist of "sounds that recall the interstellar dimension, a full immersion that goes beyond categories of space and time", inside a dedicated "second shelter dome" created by Yar. Other designers exploring interstellar themes during this year's Milan design week include British designer Lara Bohinc, whose planetary-inspired chair collection will be on show at the Alcova exhibition. Meanwhile Lee Broom will present a collection of outer-space-inspired lighting inside a listed building. Moon Mission will be on show during Milan design week between 17 and 22 April 2018, at Cinema Arti, via Pietro Mascagni 8. Driade was founded in 1968 by Enrico Astori and was for a long time one of the most glamorous and adventurous of Italy's design-led brands. It counts collaborations with Philippe Starck, Fabio Novembre and Ron Arad among its furniture, lighting and homeware. In 2014, the company appointed British architect David Chipperfield as artistic director, shortly after Driade was acquired by luxury holdings company Italian Creation Group. In 2017, the company announced Chipperfield had stepped down from his position, and replaced by a "creative committee". In March the following year Giuseppe Di Nuccio was appointed to the role of CEO.